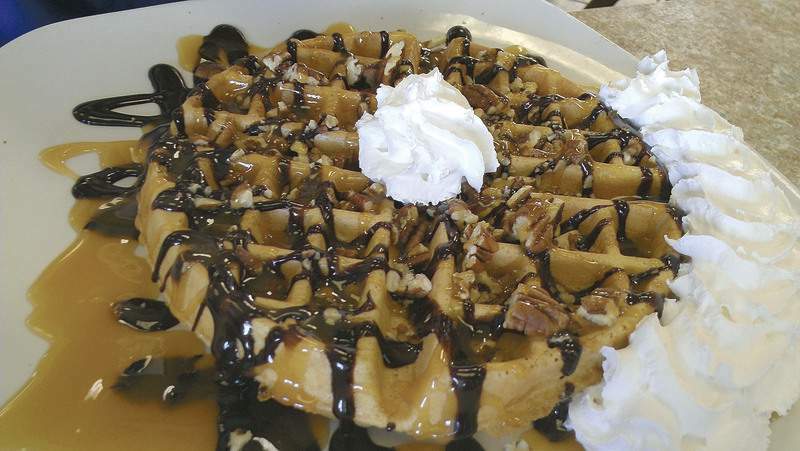 TheTurtle Waffle with chocolate, caramel and toasted pecans at Spyro's on Bluffton Road. 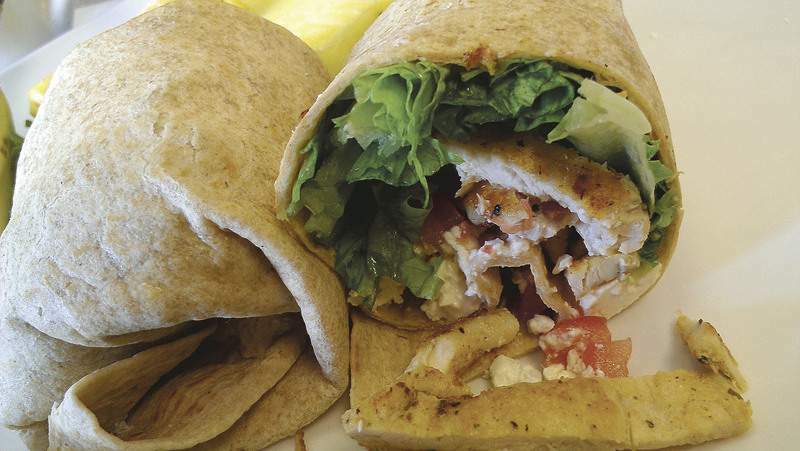 The Olympic Wrap with grilled chicken at Spyro's on Bluffton Road. 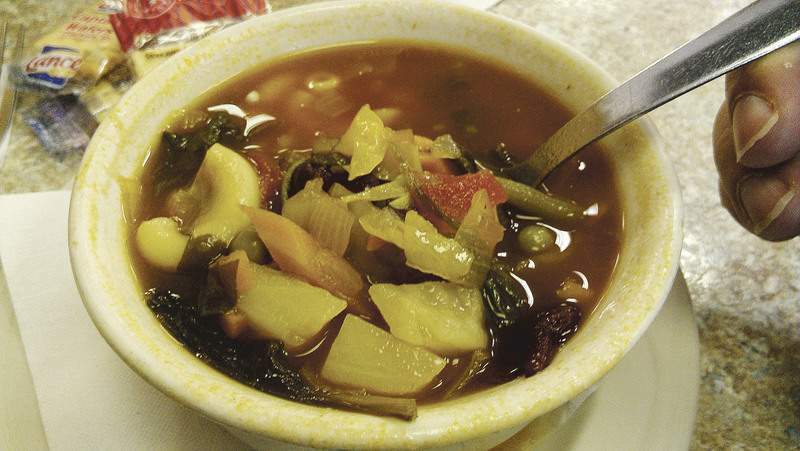 The minestrone soup at Spyro's on Bluffton Road. 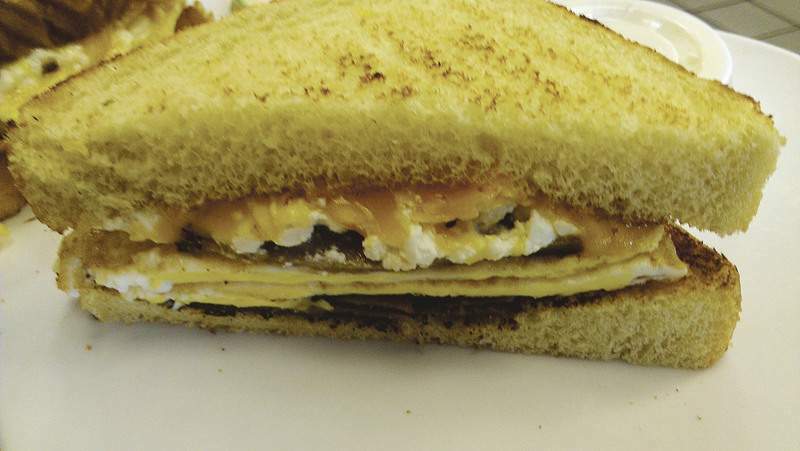 The egg-gyro and feta sandwich at Spyro's on Bluffton Road. 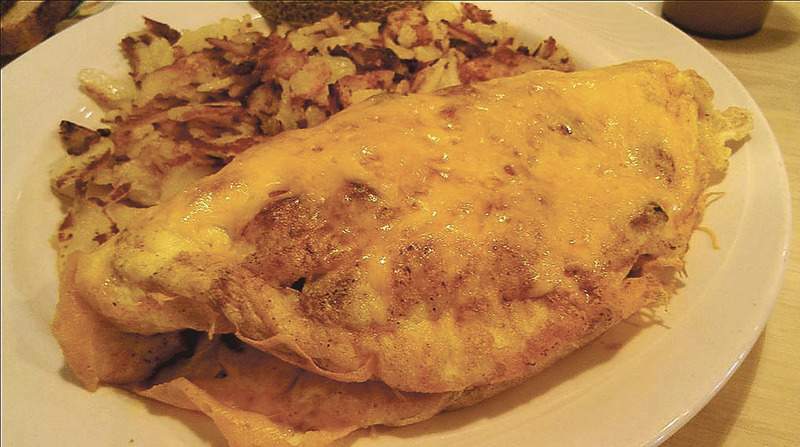 The Employees' Favorite omelet at Spyro's on Bluffton Road. It was a revelation finding Spyro’s 10 years ago. The little breakfast and lunch spot at Bluffton and Sand Point roads did everything perfectly and quickly became our regular place when my wife taught at a middle school just a few blocks away. But as time passed, she changed schools, and after a newer and shinier second Spyro’s opened up on West Jefferson Boulevard, the original kind of drifted into a memory. But when I returned, I found that it has not changed a bit. And maybe it was nostalgia taking hold of me, but I couldn’t help but appreciate the old girl even more than the new one. Sam "Spyro" Giatras and his wife, Jean, are the backbone of both restaurants and split their time between the two. I was met by friendly faces and received stellar service, which was not a surprise, as that is one area the Giatrases don’t take for granted. And the things I fell in love with from the start are all still there, from the scrumptious sausage-stuffed cornmeal waffle to the fresh-squeezed orange juice, which is a real treat seldom found these days. 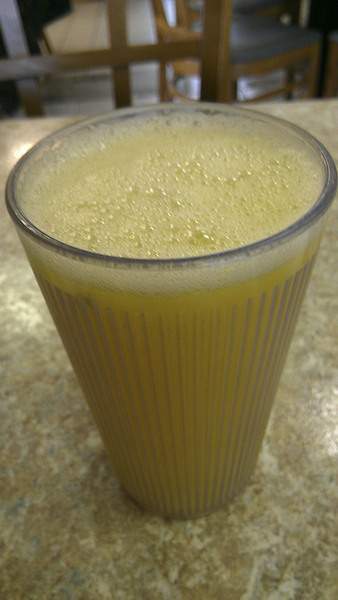 I start every visit with a large glass of the pulpy elixir and always will. But this time, I delved deeper into the menu to try some things that I hadn’t before, and the first thing that stuck out was the Employees’ Favorite omelet. This four-egg behemoth had just three other ingredients – smoked sausage, jalapeños and cheddar cheese. There are more exciting omelets, sure, but this one was just perfect. The omelet was nicely browned but still light and fluffy, the salty, smoky sausage was perfect with the spicy peppers, and the golden cheese coating the top of it was wonderful. With a name like Spyro’s – and Giatras – the fact that the menu has plenty of Greek offerings should come as no surprise. And it is not surprising that the two Greek-themed dishes I tried fared well. Although I seldom stray to the lunch side of the menu, the Olympic Wrap, with chicken, tomatoes, feta, lettuce and tzatziki sauce, sounded just right during one near-closing-time visit. The chicken was nicely grilled but still juicy, the meat-to-cheese ratio was perfect, the thin Mexican-style pita was fresh and soft, and the only thing I might have added was some onion to make it more gyro-like. After enjoying the cheddar on the omelet, I had to have it added to my gyro, egg and feta sandwich, and I was glad I did. The gyro meat was of good quality and flavor, and the combination of the creamy feta and chewy cheddar was quite harmonious. I also loved that I was able to have it on Texas toast instead of just plain. The egg, however, was flawed. I was not asked how I wanted it, and it arrived cooked through so there was no runny yolk, which would have been the sauce to make this sandwich perfect. I found no such flaws with the cup of minestrone soup I paired it with. It was loaded with spinach, green beans, potatoes, carrots, celery, onions, stewed tomatoes, cabbage, kidney beans and macaroni. The tomato broth had a little zip, making this vegetarian offering worth having again. I also will have to have the Turtle Waffle again, although I should probably bring a syringe full of insulin with me if I do. Spyro’s has nine varieties of dessert toppings that you can have with waffles, French toast or pancakes. The Patriot – strawberries (red), whipped cream (white) and blueberries (blue) – has long been a favorite, but this turtle was even more decadent. The big waffle that covered my entire plate was blanketed in milk chocolate syrup, caramel sauce and pecans. It was simply divine. The nuts may have been the star, as they had a nice fresh-roasted flavor as if they had been warmed up before going on top. It was crazy good. And Spyro’s is still crazy good. It is often the first place I recommend when someone asks who has great breakfast, and after my return visits to the original, that is not about to change.